RUPERT – Jack Merritt Smith, an 87-year-old resident of Rupert, passed away Wednesday, Nov. 21, 2018, at Rosetta Assisted Living in Burley. Jack was born in Boise, Idaho on April 5, 1931, to Lawrence E. and Reathel A. Merritt Smith. He attended school in the mining community of Stibnite, Idaho and, later in life, earned his GED. Jack was a combat veteran of the Korean Conflict, serving in the United States Navy, on the flight deck of the USS Philippines. He was very patriotic and extremely proud of the military service rendered by the veterans in his family. While working on the V. O. Dude Ranch, located along Johnson Creek near Yellow Pine, Idaho, Jack met and fell in love with Marlene Esther Prindle. They were married on August 21, 1952, in San Diego, California and recently celebrated 66 years of marriage this past August. Jack was very proud and loving of his family; his wife, children, grandchildren, and great-grandchild. He was close to his siblings as well as his wife’s siblings and their children and grandchildren. He was fiercely loyal, hardworking, honest, and extremely tough. A person couldn’t ask for a better husband, father, grandfather, sibling, or uncle. He loved and cared deeply for all who called him family or friend, and he will be greatly missed by them. During his life, Jack lived in the Idaho communities of Boise, Stibnite, Yellow Pine, Riggins and Rupert; as well as Lakeview, Oregon; Ford and Springdale, Washington; Elko, Nevada; and Whitehall, Montana. While living in each of these states, Jack worked as a miner, mining gold, silver, uranium, quicksilver (mercury), cobalt, and tungsten. 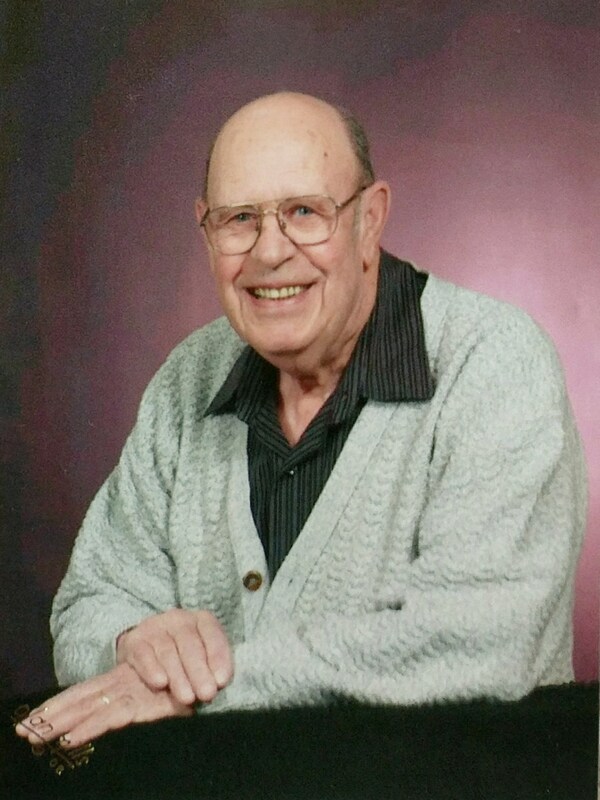 Jack enjoyed many hobbies: wrapping bamboo fly rods, tying flies, woodworking and carving, tooling leather, painting, hunting, fishing, camping with family and friends, as well as watching his children and grandchildren’s athletic events. Jack volunteered his time as a 4-H leader; he coached little-league baseball in Elko, Nevada; Springdale, Washington; and Whitehall, Montana. He was also a volunteer EMT and ambulance driver in Whitehall, Montana, and an active Booster Club, PTO, and school board member in Springdale, Washington and helped with the Frontier Days Rodeo. He delivered Meals on Wheels and transported elderly patients to medical treatments and appointments and was involved with Relay for Life in Rupert, Idaho. Jack was an active member of the Trinity Lutheran Church in Rupert, Idaho. Jack is survived by his wife, Marlene; son, Mike (Tammy) Smith of Richfield, Idaho; daughters, Julie (Steve) Cole of Duluth, Minnesota and Lori Howard of Kuna, Idaho; siblings, Ronald (Myrna) Smith of Pollock, Idaho, Gary (Barb) Smith of Pollock, Idaho and Patty Willis of Boise, Idaho; grandchildren, Ryan Swalling, Jimmy (Bobbi) O’dell, Kelsey Swalling, Tucker Smith, Tawni Smith; and great-grandchild Ian O’dell. He was preceded in death by his parents; his brother, Darrell Smith; sister-in-law, Alfreida Smith; and great-niece, Courtney Smith. A memorial service will be held at 11 a.m. Tuesday, Nov. 27, at Rasmussen-Wilson Funeral Home 1350 East 16th Street, in Burley, Idaho.